If you look closely, you will see the birdman holding a pole and trying to keep his balance along the jagged edge that runs through this painting. I’ve been pondering the balance and imbalances of the world in the art studio…and it shows. William Arthur Ward said, “A well-developed sense of humor is the pole that adds balance to your steps as you walk the tightrope of life”. I think he has a valid point. This square, mixed media piece measures 24 x 24 inches with a 1.5 inch cradle that has been painted black. 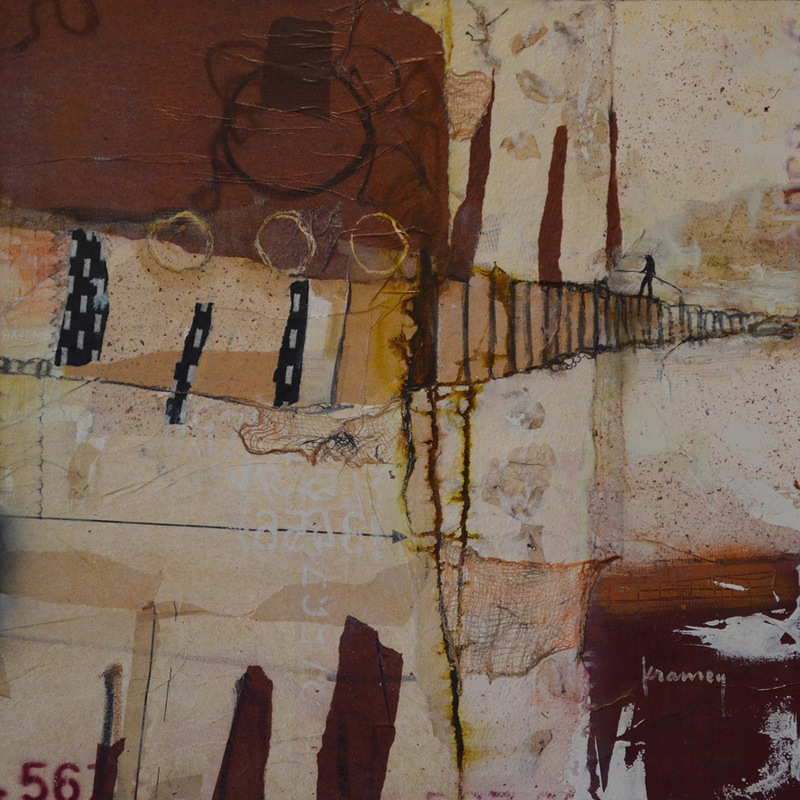 Balancing Act was created with handmade papers, acrylics, charcoals and oil pastels. The color palette is mostly russet brown and cream, accented with goldens and black. This painting is messy and textured with a clear satin finish for protection; it does have a bit of a sheen.